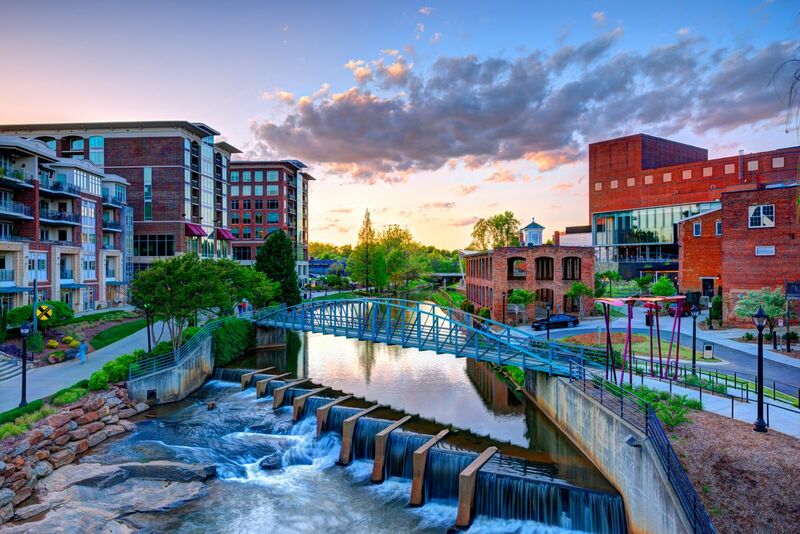 Greenville has undergone a renaissance, to the point that the official hashtag is #yeahTHATgreenville. I loved my visit to the upstate! A surprisingly nice little town with an oversized arts scene compared to its population, a cute downtown and a few good restaurants. Downtown Greenville is pretty fun. The only thing is if you're not an adult and don't have a car you won't have much fun. Greenville is a great place to stop for Carolina style barbeque. There's lots more to see in the city but I'm never there long enough. Who doesn't love Greenville!?!? Make sure you visit Falls Park on your first visit. I've been living here for a little over a year now and this is a great city to live in. it is typically hotter and a little more humid that I have been used to my whole life in the mountains of North Carolina but I do love this place. it will always be a place where I've made many memories. I won't be here forever but I have enjoyed my time spent here. A big, little city. Very cosmopolitan with great venues for excellent food and first class music, especially jazz and blues. I am a liberal hippie from San Francisco. And I love me some Greenville, South Carolina. I love being able to tour the religious art collection at Bob Jones University, eat on a patio at the Lazy Goat restaurant above the river walk area downtown, and I like visiting nearby Clemson, where you can just follow the tiger tracks to the university. Who knew what a great town Greenville was? I have driven by on the interstate a thousand times, but just so happened to stop in just recently. The downtown is gorgeous. It seems it has recently been revitalized, with a lively downtown, tons of good restaurants and night spots for a drink. The Saturday Farmer's Market on Main is also not to be missed! Paris mountain!!!! Best place for hiking so far!!! !